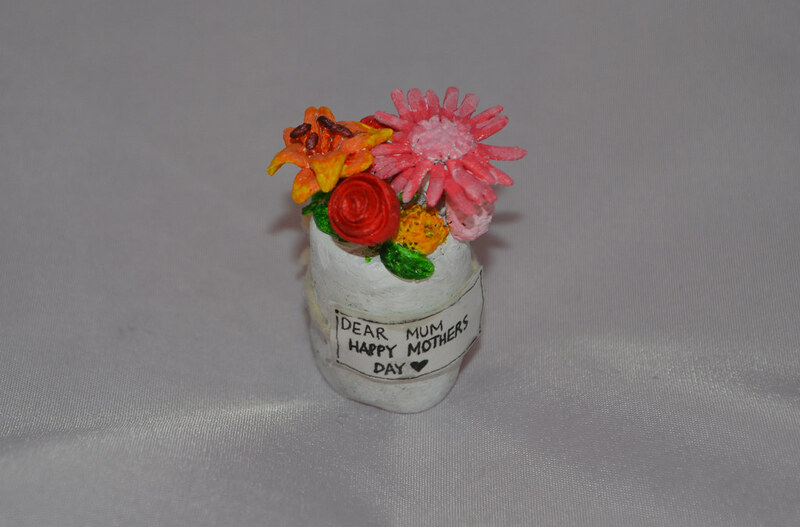 This week I have been working on this little 4.5cm tall sculpt for my mum for today’s Mother’s Day. I began this by first researching various images for flowers online, using these for realism and reference to sculpt from. 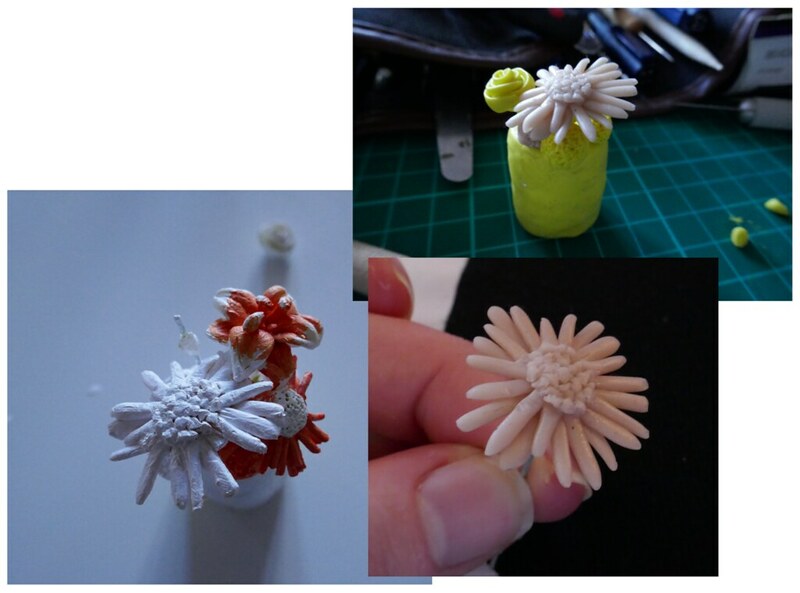 I made the flowers individually, having each one on wire to be added into the large vase later on. This was then baked to keep all in place and solid. To make the vibrant and happy colours that I wanted the flowers to be I first painted them all in a layer of white acrylic first. And then layered up the colours of each of the flowers on top, making sure to use a good pallette that works together in the bunch of flowers. And having the green leaves and stalks to stand out too. 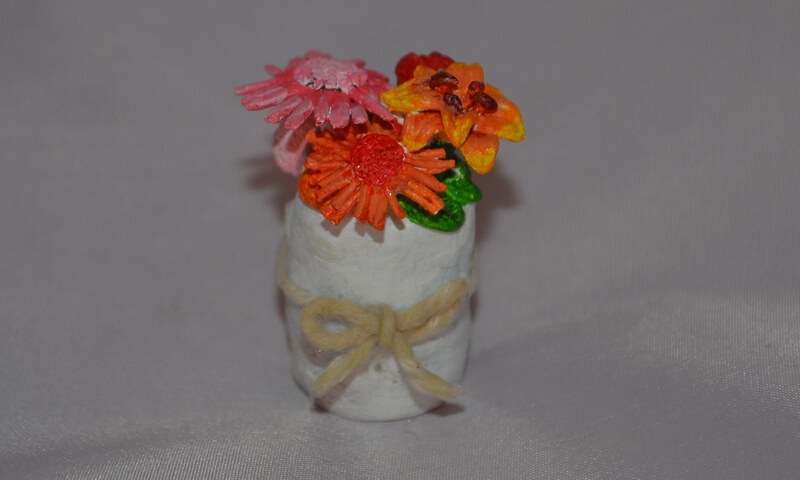 The final step was to glue together certain parts that were taken apart for the painting stage and to then add the string and sign around the vase. And so as it says..